지난 10년동안 전세계를 함께 돌며 활발한 음악활동을 해온 정상급 뮤지션 Sage Francis와 B. Dolan은 솔로 활 동을 제쳐두고 Epic Beard Men이라는 듀오로 재탄생했다. 미국 로드아일랜드 출신의 두사람은 스포큰 워드 (spoken word)와 인디 힙한 신에 많은 기여로 명성을 떨쳤고, 지난 2년간의 준비로 Epic Beard Men은 올 2018 년을 그 들의 음악세계로 채울 예정이다. Sage Francis는 2001년 장르의 한계를 허문 앨범 'Personal Journals'로 인디 랩 신에서 그 존재감을 알리며, 가장 많은 앨범 판매율을 보인 인디 뮤지션으로 등극했다. 후에 수많은 음반사와 계약, 제작을 하며 활동을 한 그 는 Epitaph 레코즈와 계약을 한 첫 힙합 아티스트가 되었고, Strange Famous 레코즈를 설립, 음악 제작과 함께 후배 아티스트 양성에 힘쓰고 있다. 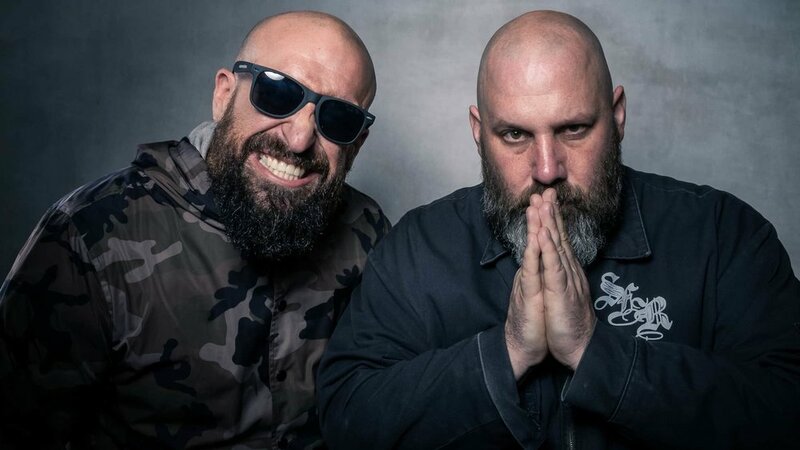 After touring the world together for the past decade, consummate showmen Sage Francis and B. Dolan have dropped their solo pursuits by officially uniting as the super-duo, Epic Beard Men. Both hailing from Providence, RI (USA), and respectively celebrated for their unique contributions to the spoken word and independent hip-hop scene, Francis and Dolan aim to flood 2018 with the EBM songs they’ve been carefully crafting over the past two years. Mobbin 소속 뮤지션이며 2009년 데뷔 이후 최근 싱글앨범 'Mathilda' , 'BABY CAR' 등을 발매하며 그만의 프레쉬한 테이스트를 선보이며 활발한 활동을 하고 있다. 국내외 무대에서 인상적인 퍼포먼스를 보여주고 있으며 여러 아티스트와의 콜라보 소식 등 귀추가 주목되며 올해 정규 2집 발매를 계획중에 있어 더욱 기대가되는 뮤지션이다. 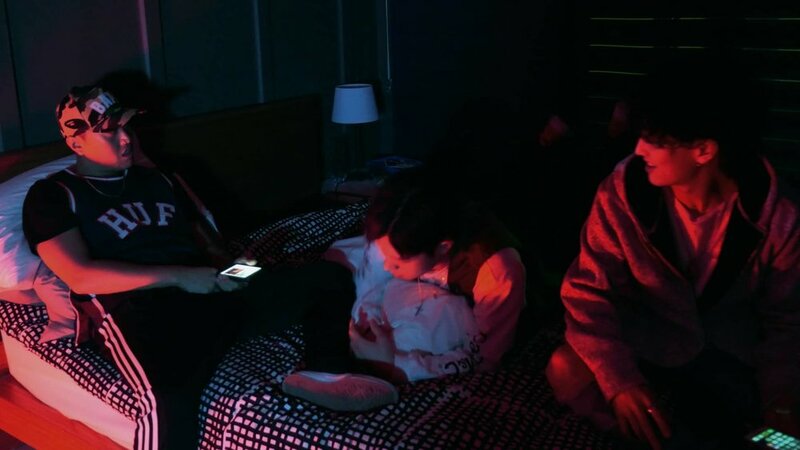 Mobbin 소속의 DJ MAD, T'wali, Wongiho 3명의 아티스트로 이루어진 'Homebo2z' 는 디제이, 래퍼, 밴드 각자의 영역에서 활발히 활동중인 뮤지션들이 모인 프로젝트 그룹이다. 최근 싱글 앨범 'Homebo2z'를 발매하여 독특한 색깔을 보이며, 올해 상반기 세 아티스트들의 조화를 느낄수 있는 EP앨범 발매 소식을 전했다. 바다 위의 언덕 / 골수저명한 / 멋진 친구들. 오프라인의 공간 과 온라인 미디어 채널을 가진 아티스트 집단. Since debuting in 2009, Mobbin affiliate Masstige has been tearing up stages both domestically and abroad, most recently releasing singles “Mathilda” and “BABY CAR.” News of his collaborations with fellow artists is always eagerly anticipated by fans, as is his 2nd full length album set to drop later this year. Homebo2z is a project group trio comprising Mobbin affiliates DJ MAD, T’wali, and Wongiho: respectively a DJ, a rapper, and musician, each active separately in his own sphere. The most recent single, “Homebo2z” showcases the harmonious combination of three unique artists, as will their debut EP set to be released in the first half of 2018. A street culture-based artist collective operating in an offline space and through online media channels.